Have you seen our latest #thewindowat62? 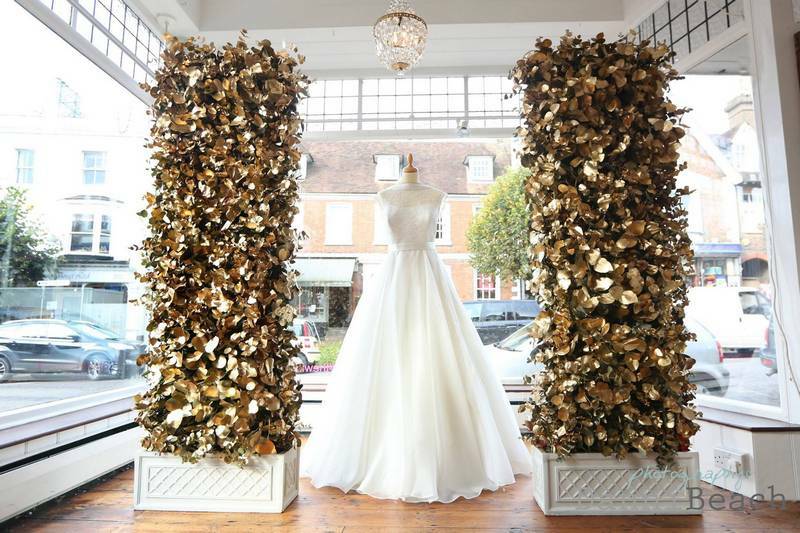 We have taken two “hot” trends for 2015 weddings (gold and flower walls) and created an editorial look for this window display. 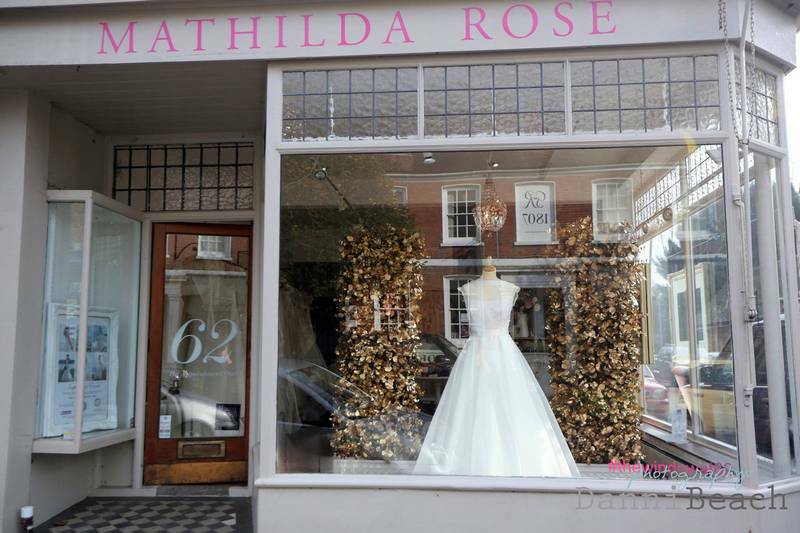 The statement panels perfectly frame the full organza skirt of our elegant Johanna Hehir “Lara” wedding dress. 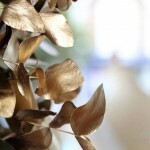 Gold is such a striking colour which can be used in bold or subtle tones to help create a stunning backdrop on your big day and it is a massive trend for 2015 weddings. 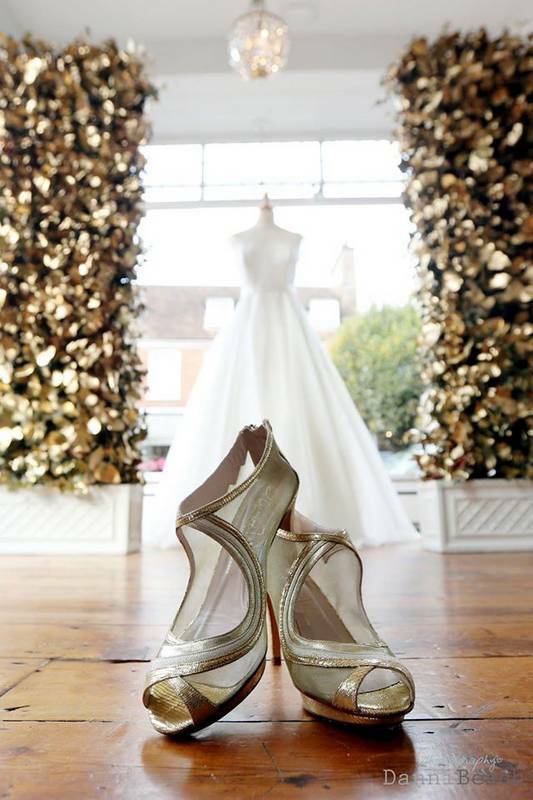 If you want to incorporate it in a subtle way think about using pops of gold on your cake & wedding stationary or you could choose a pair of fab statement gold Harriet Wilde shoes! 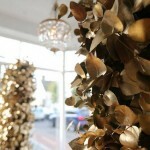 Beautiful flower walls are becoming an increasingly popular wedding trend. 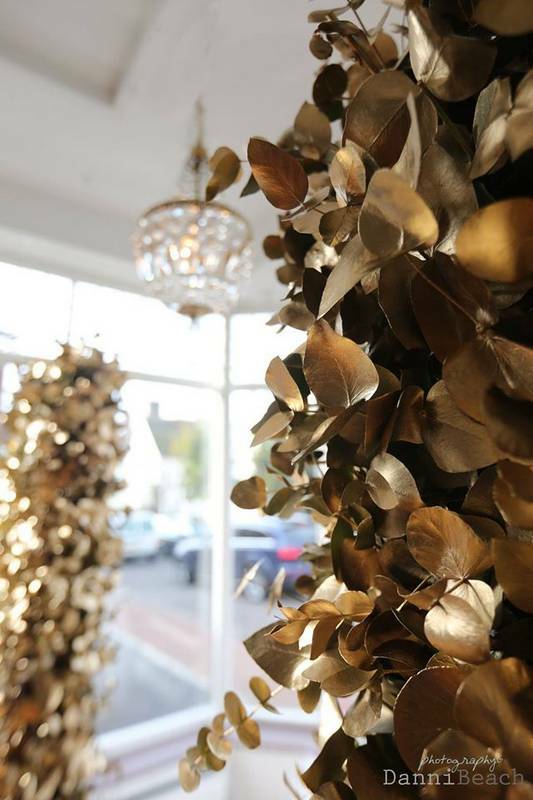 Opting for a statement wall of flowers will create a visually stunning backdrop – for your ceremony, reception or photoshoot. 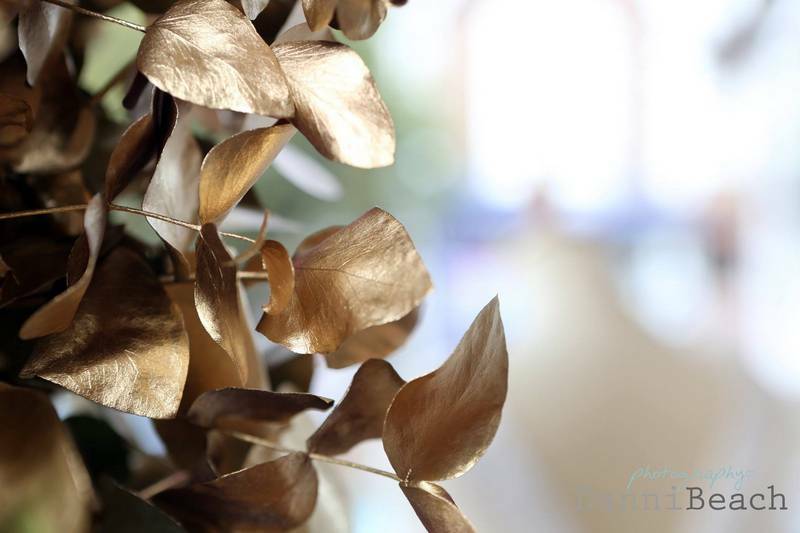 Sharon from Flowerbug designs chose striking gold eucalyptus, a bold and exciting alternative to traditional wedding flowers whilst also celebrating the change in seasons as we approach the festive holidays. As always, we are so lucky to have these wonderful images from Danni Beach to share which means you can be anywhere in the world to be inspired by #thewindowat62! 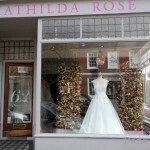 We feel very excited about this window display as it’s so new and WOW!. 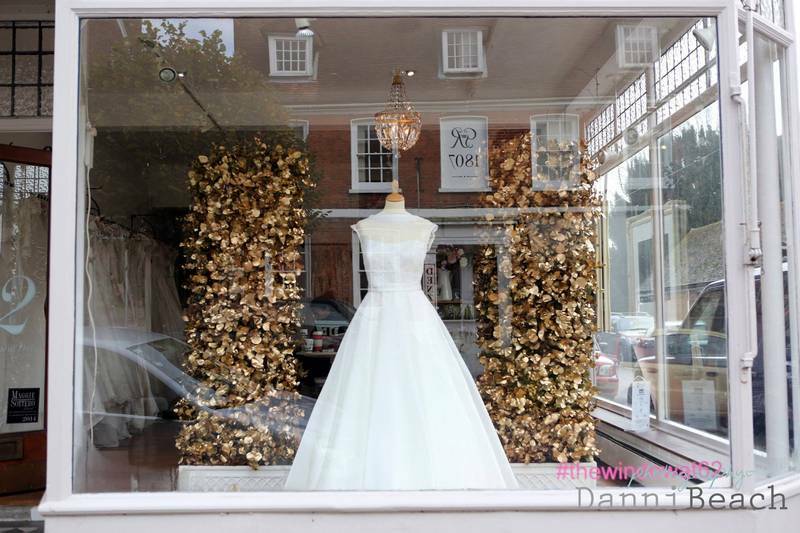 With thanks from the #thewindowat62 team of creative ladies Danni Beach Photography, Cake Maison & @flowerbugdesigns.